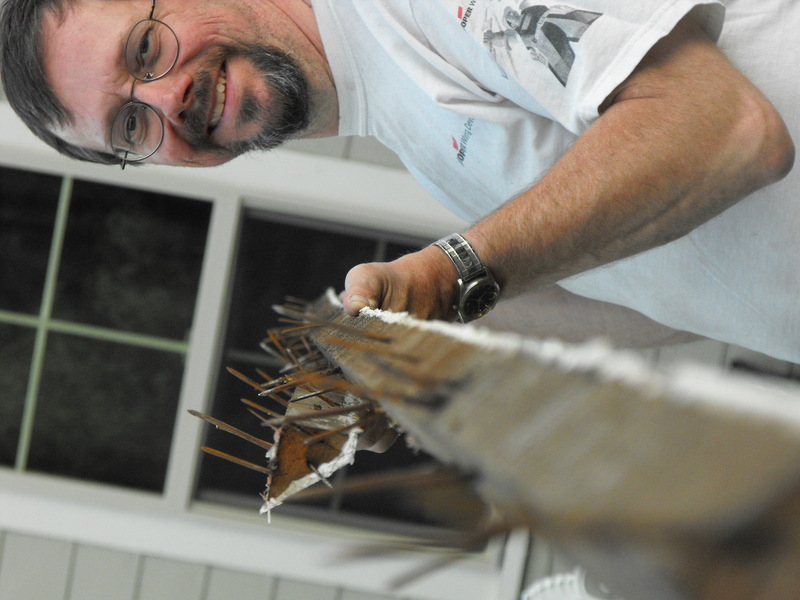 This summer’s big project was putting a ridge vent on the roof of our house. The upstairs has the low half (Knee) walls and is more of a storage place than a living space. We had insulated and sheet rocked it years ago as we needed it for living space. But without the proper ventilation the ceiling started sweating and we had to take the sheet rock off and reconfigure the whole thing. We first had to remove the shingles from the peak of the ridge ( the cap shingles). 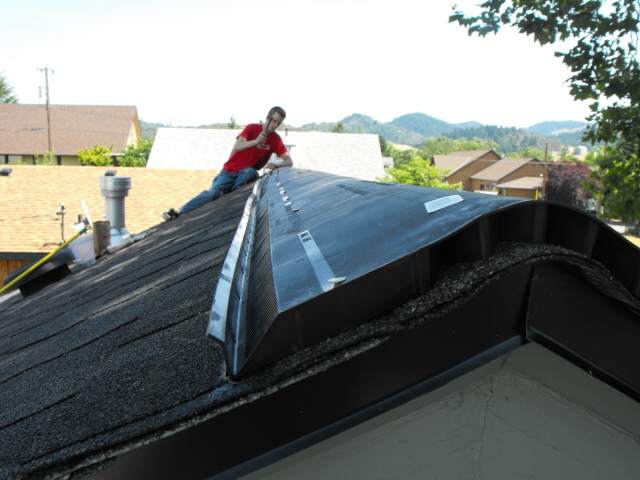 To apply the ridge vent we followed the manufacturers instructions and cut with a skill saw 1 1/2 inches down from the top of the roof, the length of the ridge, stopping about 8 inches from the ends. Then we ran a chalk line to insure that the vent would be placed on the roof in a straight line. Placing each vent one after another, we nailed them into place by placing nails in the pre-drilled holes to hold them on. When we reached the end we cut the extra length off of the last piece of venting and nailed it into place. Now, since we were very careful in taking the ridge cap shingles off we were able to re-use the same ones on top of the new venting. We just had our roofing replaced a couple of years before so the shingles were still in excellent condition. 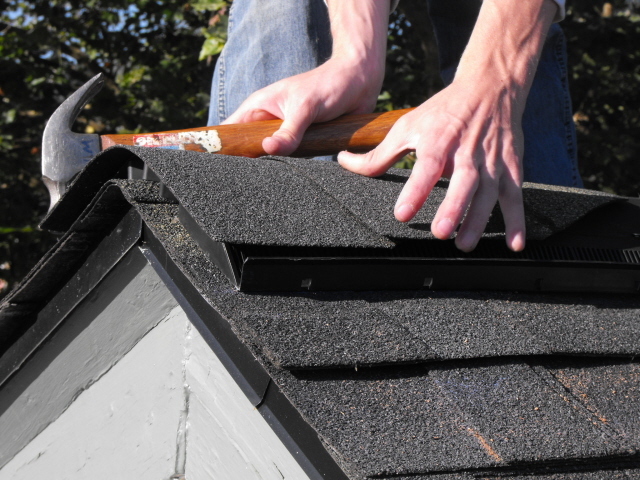 If your shingles are not new, you may want to re-roof at the same time as installing your ridge vent. 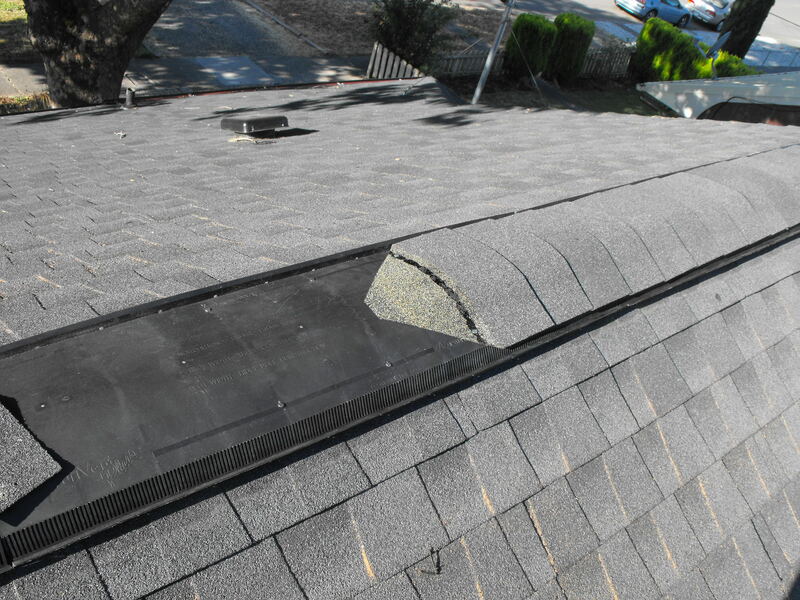 Installing a roof vent will prolong the life of your shingles as it will keep your attic (and roof) cooler. That was reasonably simple, but we are not done yet. 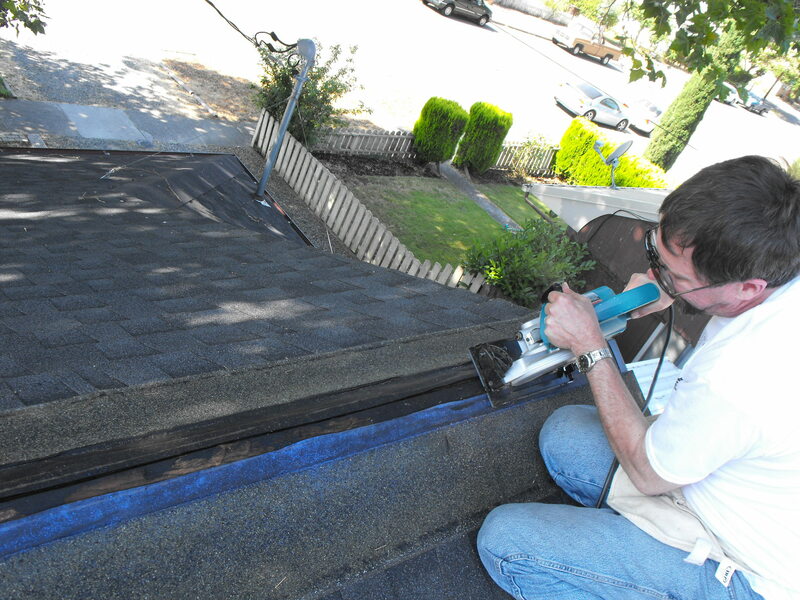 Unless the eaves are properly vented the ridge vent will not do its job . As our house had very few and very small vents cut in the eaves we thought it would be best to replace the eave boards all together. 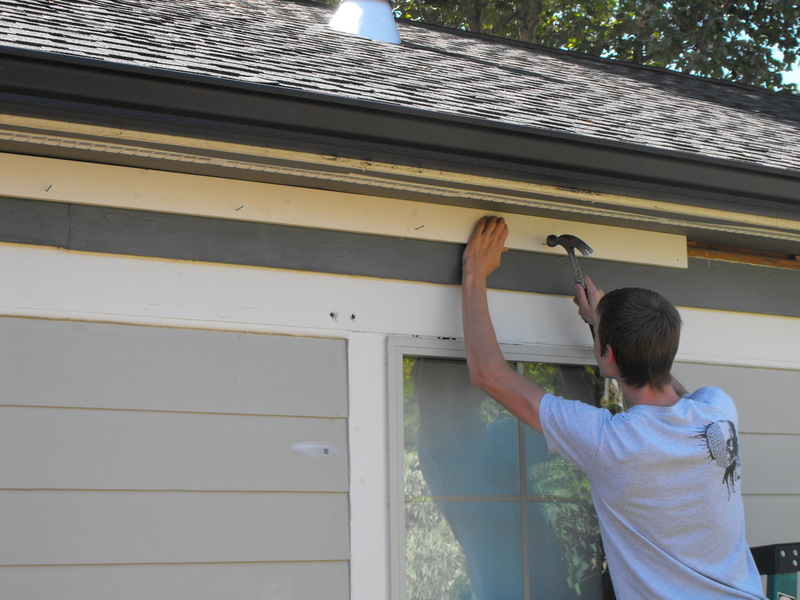 There are many products on the market for venting your eaves and you should check them all out and see what will work best for your home and fit your personal budget. We chose to go with a 2 inch venting strip that would run the entire length of the eaves all around the house. First we had to remove the old eave boards. A dirty job but someone has to do it. Remember to wear safety goggles and a mask as any loose insulation will go flying. Also in removing old boards there is a danger of injury as we found out the hard way. 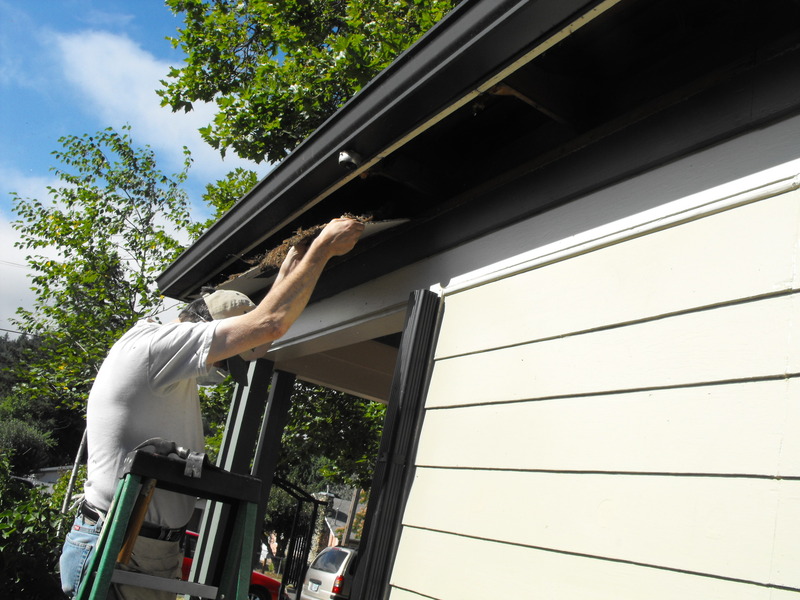 The exterior trim on the eaves had to be removed before the eave boards could come down. As my husband found out this can be difficult and painful. Our trim was nailed into place by a maniac that loved to “toe nail” (criss crossing) in 16 penny nails. I seriously cannot figure out what this guy was thinking when nailing this trim board in place! WOW! Crazy stuff. Anyway two nail holes in his arm and a tetanus shot later my husband finished his work. What a trooper. All I can say is be careful out there guys! Next we cut exterior plywood into strips the size we needed for the eaves. Before covering with new vents make sure that any insulation that might be blocking air flow be removed from the area. The venting instructions recommended that the vent be no closer to the edge than 3 inches. So since our overhang is small we placed it at 3 inches and cut our back board accordingly. We purchased a small nail gun which I recommend especially for this application. It saves you so much time and effort. This picture shows the venting in place and new trim boards going on. Now there is caulking to be done at all the seams to prevent bugs and moisture from getting into the house. Then the final painting touch ups can be done. Since we have a hip roof some of our attic is unfinished crawl space. 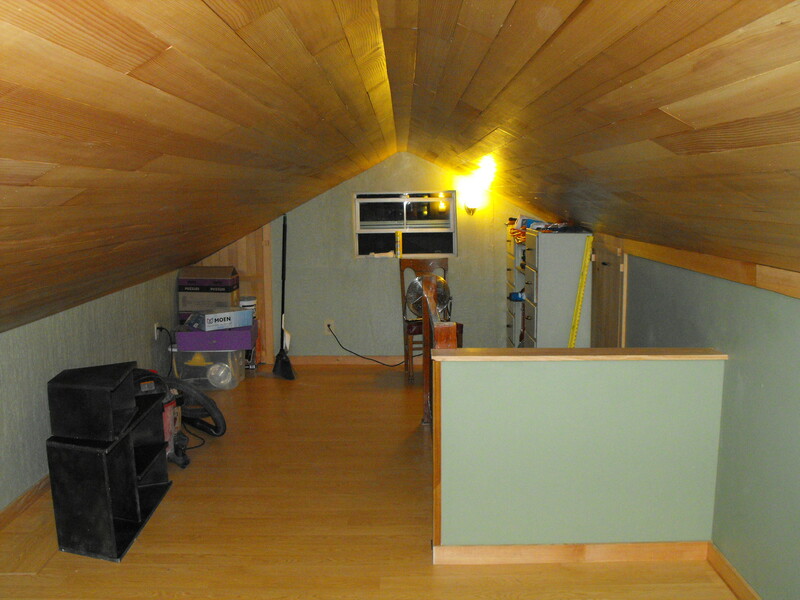 Part of the attic is finished storage space. The crawl space had been properly vented and insulated for years; but the living space was more difficult. To insure proper ventilation to the peak and in the ceiling we needed to add vent shields that prevented the insulation from cutting off the air flow to the ridge. These resemble egg cartons and are very easy to install. I held ours in place by pressing them up against the nails that were already protruding through the roof. I also added a few staples. 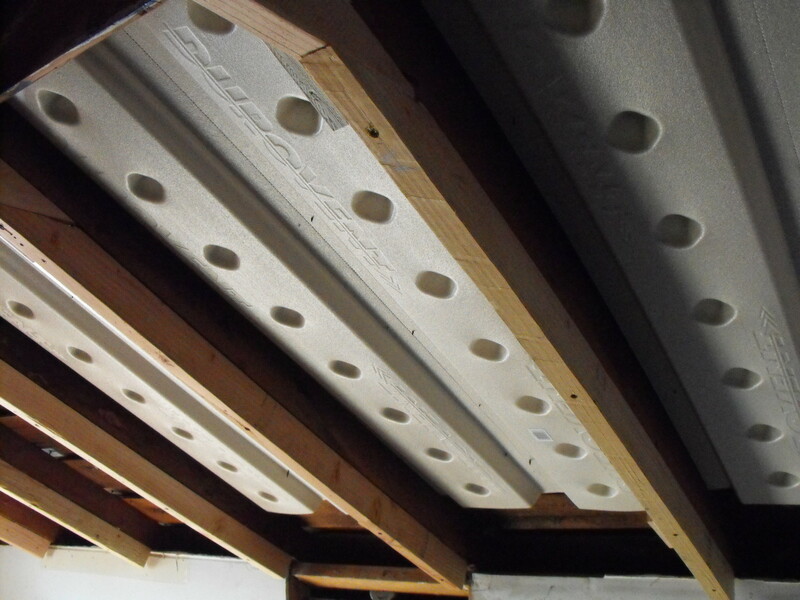 We also added 3″ boards to increase the ceiling cavity so that we could use R-19 insulation ( to meet local code). This will also help lower our heating bills this winter. When adding insulation to your home, check with your local utilities-they may offer a discount in your bill or a refund on your cost to insulate. We did this and received several hundred back. Now that is sweet! Once all the venting and insulating was finished we were able to finish the ceiling and get the room looking good again. That’s your summer project? Sheesh. Makes our fence look like a popsicle stick craft! 😀 Congrats on finishing it up. That looks awesome! And the view from the roof looks slightly familiar. Your tutorial article is excellent! Now take a weekend and do nothing but fun stuff!